Egely Wheel - Egely Kutató-Fejlesztő Kft. makes you conscious of your mental power. It comes in an attractive red paper box. You can check, measure and increase your own life energy level with this device. It is very simple to use. The device has won many international invention awards. 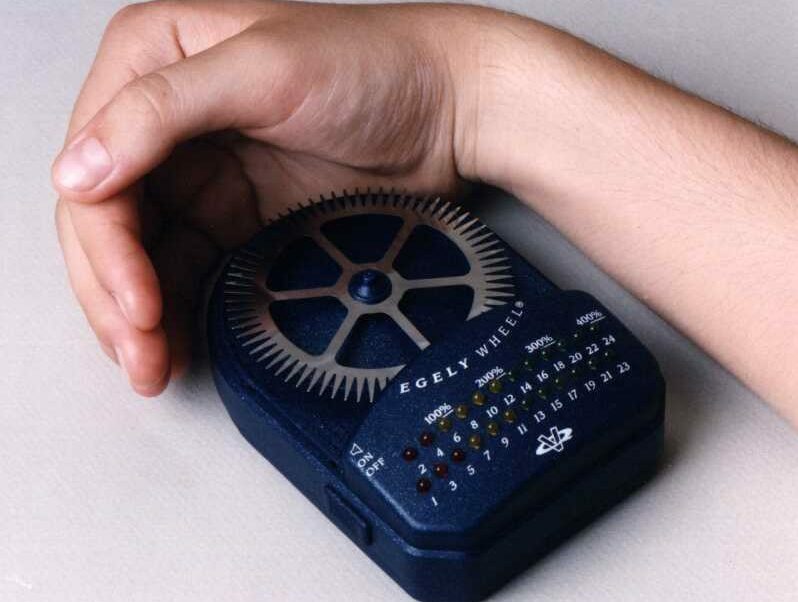 The Egely Wheel Vitality Meter is the result of many years of intense scientific development. Although the basic of the phenomenon are not yet fully understood, extensive control experiments have proven that the rotation of the wheel during measurement is not driven by heat, convection, or electromagnetic energy. The inventor and designer, Dr. George Egely, is a trained scientist who was employed for many years by the Atomic Energy Researc Institute of the Hungarian Academy of Sciences. He is an expert in the field of energy transport processes. 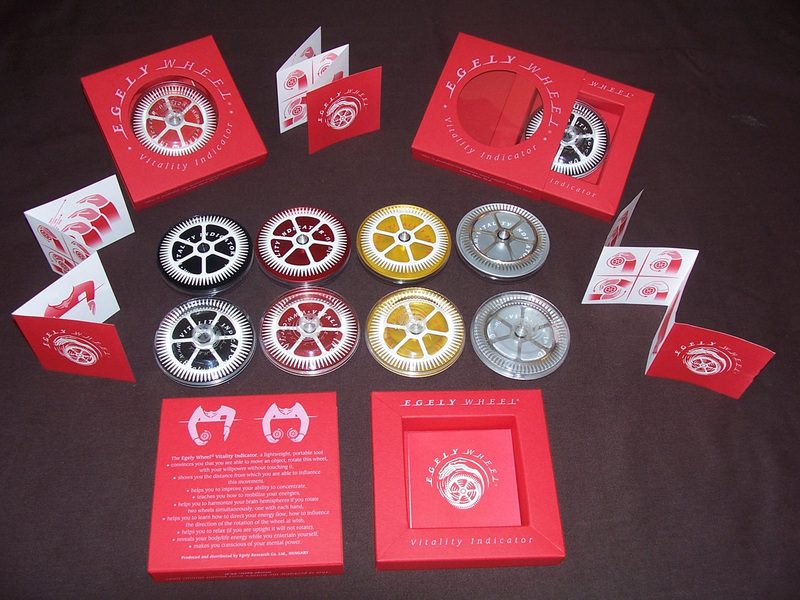 The Egely Wheel comes in an attractive wooden box together with an extensive 84-page booklet of instructions on how to use it, ideas for improving our vitality level and the historical and scientific background of the measurement.